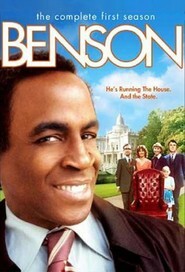 Benson is an American television sitcom which aired from September 13, 1979, to April 19, 1986, on ABC. The series was a spin-off from the soap opera parody Soap; however, Benson discarded the soap opera format of its parent show in favor of a more conventional sitcom structure. The series was created by Susan Harris, and produced by Witt/Thomas/Harris Productions.